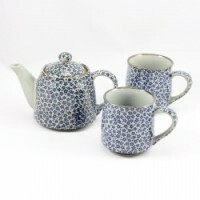 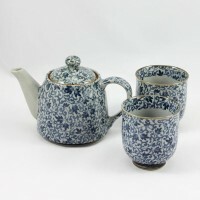 650 ML Teapot with infuser 4 matching cups Tenmoku glaze give the look of an cast iron Te..
650ML Teapot with infuser 4 matching cups Tenmoku glaze give the look of an cast iron tea..
Oriental Blue Garden Tea Set Tea Pot 600 ml with four matching cups Includes a mesh infus..
Blue Wave Tea Set Made In Japan Comes with Teapot and 4 matching cups Stailess ..
Daisy Tea Set for Two Teapot with Infuser and two matching mugs Made in Japan Comes G..
Made in Japan Tea Set Comes with 500ml Tea Pot & 2 matching Mugs Gift Boxed ..
Garden Red Tea Set 800ML tea pot with matching 4 cups Fitted stainess steel infuser . 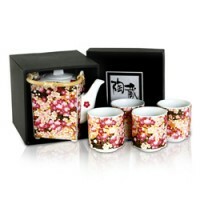 ..
Hana Traditional Tea Set 330ml Includes Teapot + 2 cups, and filter Comes Giftboxed ..
Made in Japan Tea Set Porcelian Comes with Tea pot and Two matching cups Stainless st..
Quality Oriental Tea set in pretty Hibiscus design Consists of one teapot 600ml with infuser ..
Jade Blossom Tea Set Comes with 4 cups and matching tea pot with stainless steel infuser ..
Made In Japan Tea Set Porcelian Comes With Tea pot and two matching cup . 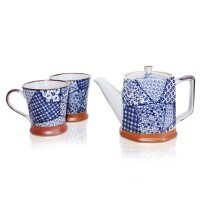 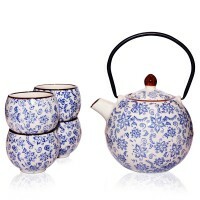 Stain..
A beautiful Japanese Tea Set - filter..
Kusa Tea Set Colour : Blue and White Two cup tea set with Stainless Steel Infuser .. 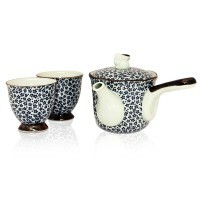 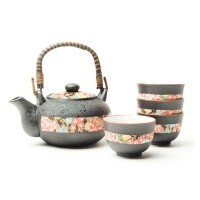 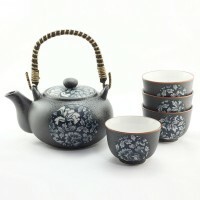 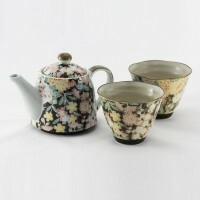 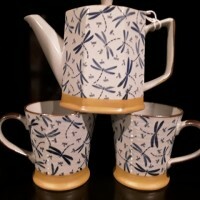 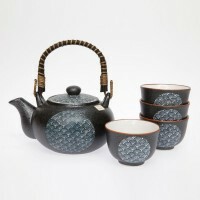 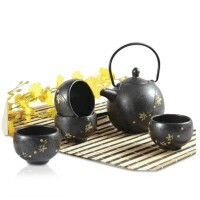 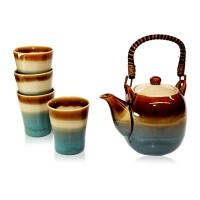 Maple black tea set Comes with 600ml Tea Pot and 4 matching cups Gift Boxed Mad..
Muruei Tea Set Colour : Blue Comes with .. 700ml tea pot and four matching cups Gift ..
Muruei Tea Set Made in Japan Comes with 700 ml Tea pot and four matching cups gift bo..
Nishiki Tea Set Tea for One Tea pot and one matching Mug ( Comes with Stainless Ste..
Owl Tea Set ( 6 peice tea set ) Includes 600Ml Tea pot with 5 matching cups Comes g..
A beautiful Japanese Teaset (filter i..
Red Blossom tea set Comes with 600ml teapot and 4 matching cups Fitted stainless steel in..
Sakura Pink Teapot and 4 Cups This set includes a strainer/filter. 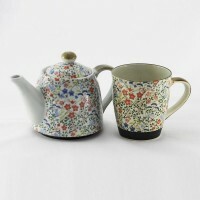 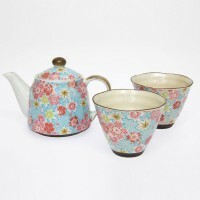 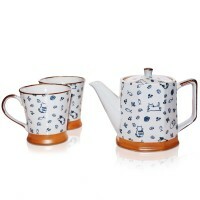 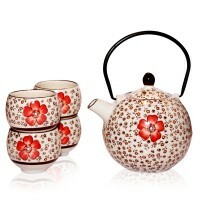 Comes giftboxed&..
Made in Japan Tea Set Porcelian Comes with Teapot and Two matching cups Stainle..
650Ml Teapot with infuser Tenmoku glaze give the look of an cast iron teapot with practicalit..
Spiral Red tea Set Made in Japan Comes with 500 ml tea pot and two matching mugs gift..
Spring Season Tea Set Tea Pot 600ml with Infuser and 4 macthing cups. 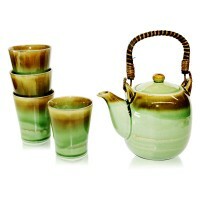 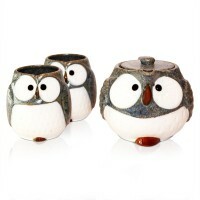 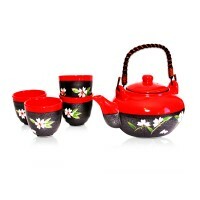 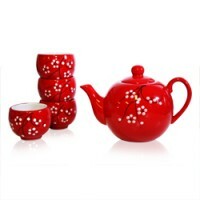 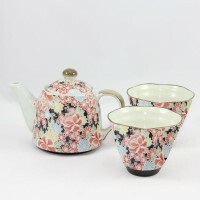 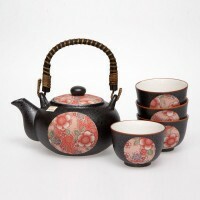 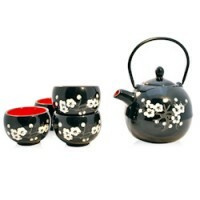 Comes Gift Boxed ..
Ume Red Tea Set Tea Pot 600ml with infuser and 4 matching cups. 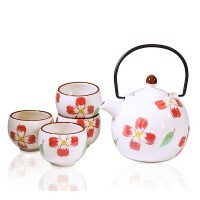 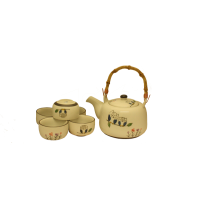 comes gift boxed ..
Water Lily Teapot + 4 Cup Set 1000ml Set includes Water Lily Teapot 1000ml (filter included) ..
White Flowers tea set . 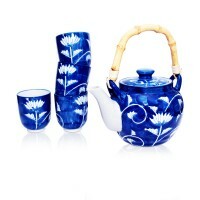 Size : 600ml tea pot with infuser . 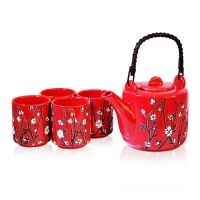 Comes with 4 matching cups ..